Each year the STR publishes at least one book on an aspect of British theatre. Members receive these publications as part of their annual subscription and get a discount on the retail price for STR books in print. Non-members may also buy STR Publications. The Holden family were the most celebrated English marionette performers of the nineteenth century. The trajectory of the Holdens provides a vivid example of developments in entertainment across the century. Having begun on the fairgrounds, they moved on to large halls, theatres and music halls. At the height of their popularity, when they had two main companies in operation, the Holdens were even better known abroad than at home. Their name was almost synonymous with puppetry, and they were credited with every innovation in marionette theatre. Then, with the advent of cinema, their business suffered a rapid decline. 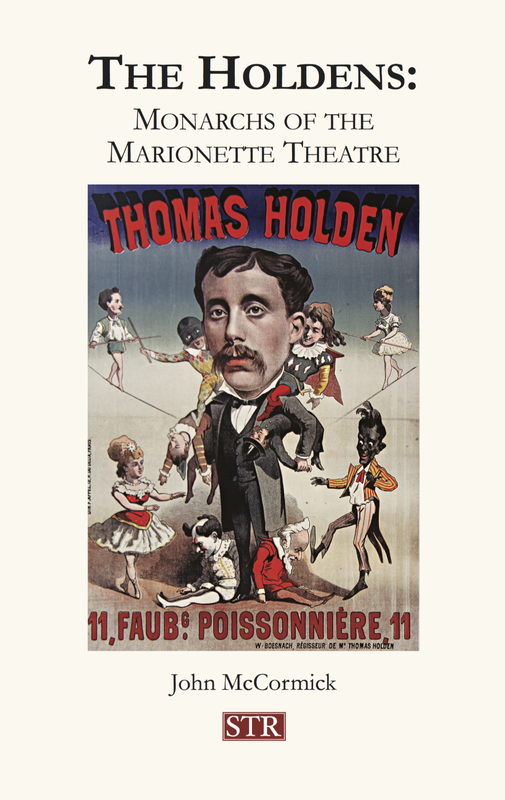 Based on extensive archival research and lavishly illustrated with photographs, sketches, diagrams, playbills and posters, The Holdens: Monarchs of the Marionette Theatre explains why the Holden shows had such impact and were so frequently imitated. Special Offer for New Members only: the Society is offering any five books in the catalogue* for only £25, inclusive of p&p. You’re a new Member, you’ve selected your five books, but you would really like a copy of The Theatric Tourist as well? You can add a copy of this marvellously illustrated volume to your Sale items for just £20 more! Members of the Society for Theatre Research receive the Annual Publication as part of their membership benefits, along with Theatre Notebook and access to the Members’ Area of the website. The STR is interested in expanding its long and distinguished list of publications in the history and technique of the British Theatre. Holders of STR research awards are especially – but by no means exclusively – encouraged to submit proposals for future STR publications. [v] and at least one or two sample chapters. Many recent publications are still available to buy.